recipe goodness :: more minted peas please! 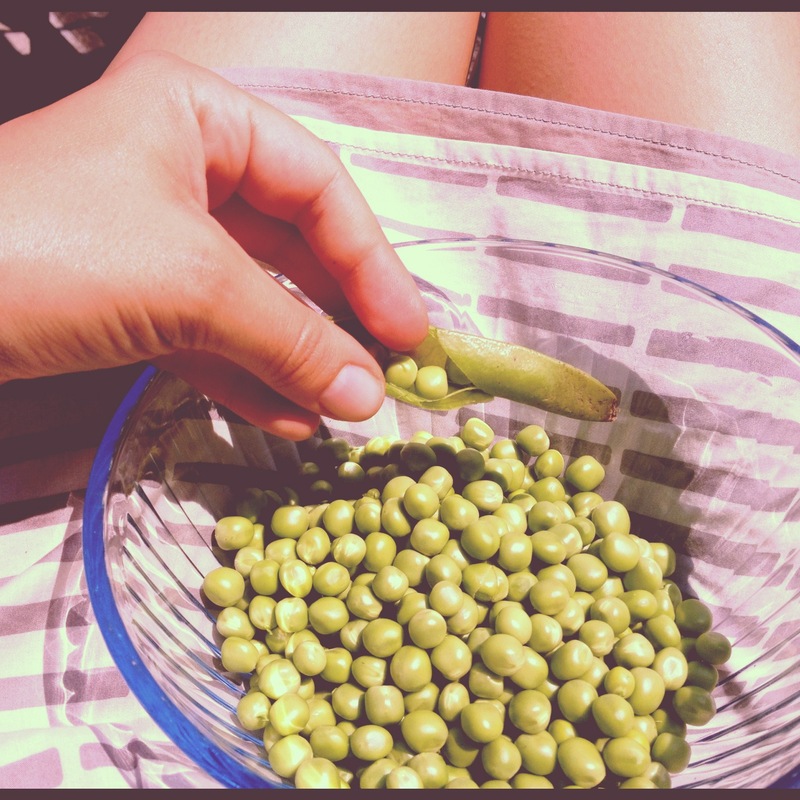 There is something remarkably relaxing about shelling peas. It feels like I should be sitting under a big 200-year old oak tree, sipping lemonade while the biscuits bake in the oven. Sure, they are a bit of work, but as you snap each pod releasing the perfect pea pearls into your lapped bowl with a tink tink tink, there is a feeling reaped treasure. The beauty of these bright green gems is the hard work ends there. A little steam, olive oil and salt & pepper and you have a complete dish. Pour a glass of lemonade or wine and pop a squat with a large bowl in your lap. 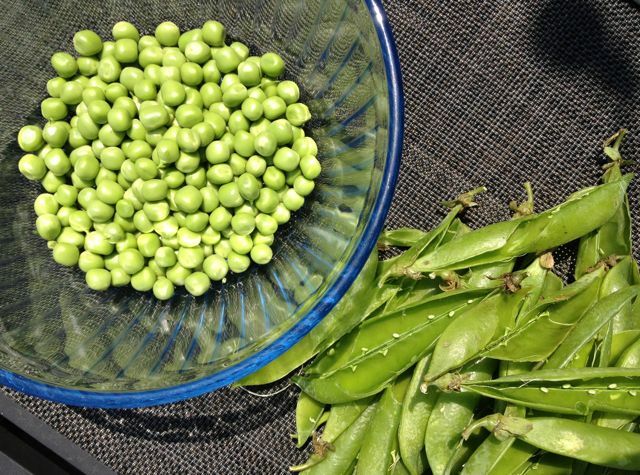 In a 7-10″ pan add peas, water, salt and pepper and cover tightly with a lid. Heat to a simmer and then remove from heat and let rest with the lid on 10-15 minutes until tender. Drain any excess water, scoop into a bowl, drizzle with olive oil and season with chopped mint, more flake salt & pepper as needed.